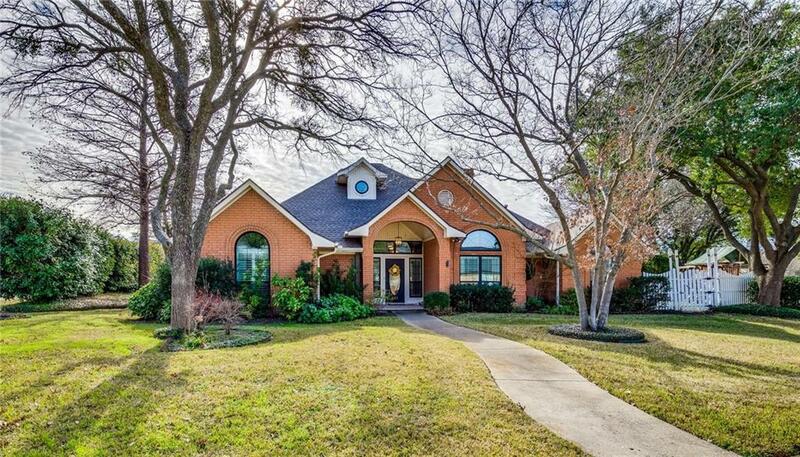 Beautiful home situated on corner lot in lakeside community with pool. Features hardwood floors, plantation shutters, crown, vaulted ceilings, decorative lighting & more! Spacious living room with fireplace. Kitchen offers granite, stainless steel appliances, including double ovens & refrigerator and Culligan RO water system. Game room with vaulted ceiling. Master retreat with dual sinks, jetted tub, large shower & his & her walk-in closets. Large auxiliary rooms, plus additional playhouse closet. Covered patio overlooking pool with waterfall & spa, plus plenty of backyard space including sport court. Items recently replaced include windows, roof, pool heater, lighting, ceiling fans, double ovens, microwave, garbage disposal, garage door opener.